As we got ready for work this morning we set the Wombats up to play in their little play area. Martin had a good time with the tambourine as he often does. Elliott had a great time standing up and being proud of himself. While getting ready in the other room there was a great crash which made me run into the living room. This is what I saw. 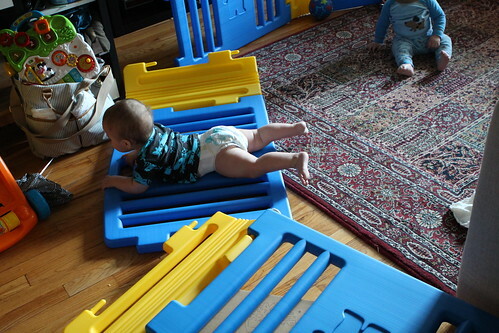 Elliott was not hurt, he was just upset that this flimsy wall had toppled over and left him unable to do his favorite activity: standing. I tried to cheer him up by saying, "Mr. Bubsevhev, tear down this wall!" 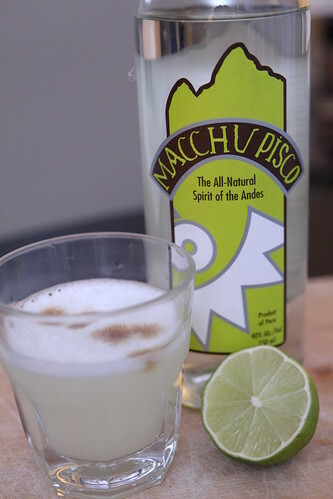 After work I decided to make some Pisco sours, a drink I don't think either of us had had since we attended a food show in 2004 at the Jacob Javits Center. While the sours lose points for not being made by a Peruvian they gain points for not being made at the Jacob Javits Center. For a starter I made this dish called Papas a la Huancaína. It's basically some boiled potatoes on greens which is coated with a sauce made of milk, feta cheese, crackers, and aji amarillo. 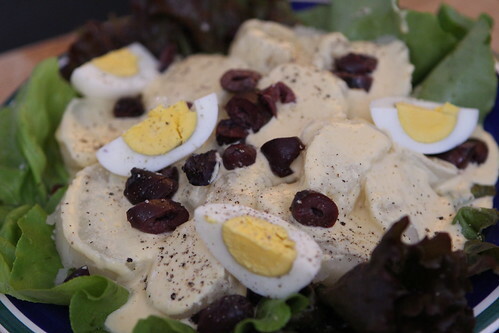 It's garnished with black olives and hard boiled eggs and it is delicious. 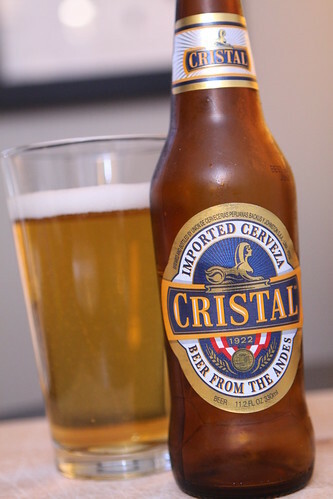 With dinner I had this Peruvian beer, Cristal, from Union De Cervecerias Peruanas Backus y Johnston. It was exactly what you would expect: an import lager from South America. It tasted like every other import lager. 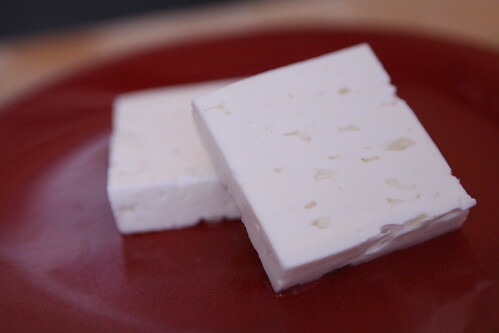 We also snacked on this feta cheese we got from the farm share. It was fantastic with some fresh bread. 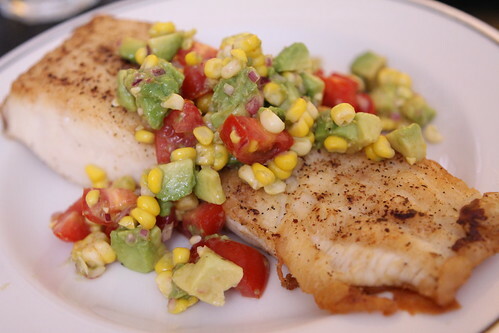 Keeping with the Peruvian theme I picked up this paiche which I pan roasted with olive oil and adobo then topped with a slasa I made out of tomato, red onion, olive oil, corn, avocado, salt, and lime juice. 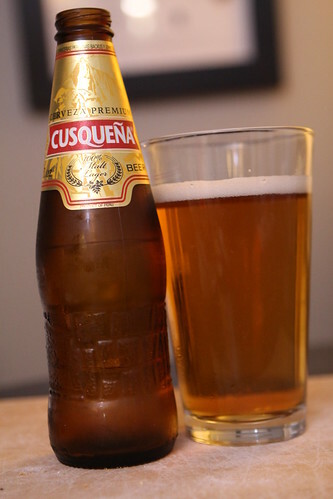 To end the evening I had this Cusqueña from Compania Cervecera Del Sur Del Peru S.A. This was also another import lager. It was a little sweeter and came in a cooler bottle. Other than that it was unremarkable. Sadly, with crying babies, I did not have the opportunity to make anything for dessert. I did, however, have the opportunity to rock Elliott back to sleep and get drooled on. And with something that sweet, who needs dessert?